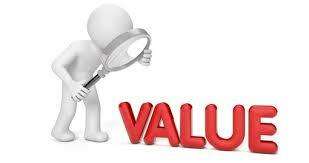 One of the buzz words we hear on a regular basis is Value-Added. One of the questions we hear on a regular basis is – what does that mean? Basically, Value-Added simply means providing a service or product that current customers will pay money for that is connected in some way to what they are already purchasing from you. For example; a company that provides carpet cleaning services, also sells spot remover or a store selling kitchen utensils and supplies also selling cooking lessons. Do you have space in your location that could be used for seminars or demonstrations? Do you have employees who have a skill that customers would enjoy seeing or that they could learn from? Brainstorm with your staff or do a survey of your customers to determine what they might be interested in that you could provide and make profit on. Typically these will be products or services that are related to what you are already selling and that are of interest to current customers. However, these could bring in new customers as well. Be careful that you price these out so that there is profit and of course you want to make it convenient for your customers. With the busy schedules that we all seem to experience these days, convenience is often the reason for purchases. Marketing your business requires continual attention and effort. Add to that the fact that the marketing world is continually changing and evolving and you can quickly become overwhelmed with the choices, the methods and sometimes the cost. Arguments can be put forth that slow and steady wins the race, be first out of the gate with the new, stay with the tried and true – we’ve heard so many ideas we’ve lost track. There are a few points that are important in marketing no matter what tactic you use. As a business owner, you should be well aware of what your USP is. Every business needs at least one in order to stand out in the crowd. Not sure what it is for your business? Ask you customers why they frequent your business, what do like best about your business. They will be more than happy to tell you and you might be surprised at some of their answers. Once you have your USP be sure to use in whenever you advertise and be sure to mention it as often as you can. Above all else, make sure that you continue it. In this day and age you must stay connected to your customers. The old saying “out of sight, out of mind” certainly applies. On a daily basis we see advertisements everywhere, many of which are from our competitors so if you are off the grid so to speak, you lose. This doesn’t mean you have to place ads daily – there are many ways to make contact points and stay in your customers view. A comment on facebook, a tweet, attending a networking event, engage with your customers and your community and you will reap rewards. It is important to keep your marketing fresh. Using the same advertisement year after year can be interpreted as being a business that is behind the times, old fashioned, too busy, not responsive. Show people that you have a business that lives and is in touch with the world. Update your website, post regularly on your facebook page, ensure you keep your branding but freshen your ads on a regular basis. A business that shows life will thrive. Todays customers are pretty savvy. They know what they want and have typically done their research. Be sure that you have accurate information on your products and that it is reflected on your website and by your in store staff. Don’t promise delivery in a specific time that you know you cannot meet. Be truthful and potentially deliver a day early. That kind of customer service will go a long way to creating a happy customer. If you mess up, admit it and fix it. Don’t try to place blame on a supplier or someone else. Own up to the error and do your best to correct it in a reasonable amount of time. Your business will gain respect for being honest and caring enough to make it right. Marketing takes on many forms and is in a constant state of change. It can be a jungle if you are not informed and if you are without a plan. In the long run, taking a bit of time on a consistent basis to plan out your strategy will save you time, money and stress! 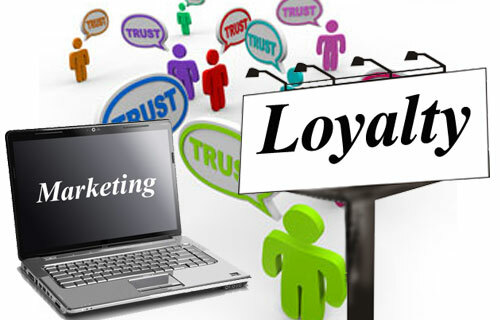 We hear the term often, but what is Loyalty Marketing? This is when a business focuses their marketing to existing customers by offering perks and/or incentives. It is often less expensive and easier to increase the purchasing of an already happy customer than to attract a brand new customer. This type of offer is not new, but it still works. Offer a VIP Membership – it does not need to cost the customer anything to join except maybe providing an email address. Then once a month through an email offer members a new product preview 2 days earlier than non members, or sale prices a day earlier. Set up a special VIP Member evening outside of normal store hours to view your new fall or spring product line and provide coffee and tea. Offer VIP members free Christmas wrapping of gifts or free samples. It does not have to be costly. Everyone likes to feel they have gotten something for free. So set your sales to feed into this emotion. Buy one get one half off, or purchase a specific product and receive a free gift. This will often attract previous customers that you may not have seen for awhile. Through your customer database you can improve customer loyalty. Consider sending out a Happy Birthday card or email. Do you have small items that you could access in order to send a gift out on a client birthday or wedding anniversary? Consider sending a card out with an offer of a 5% discount on purchases during the month of their birthday. Is there a business down the street that you can partner with to offer discounts to employees of both businesses? Is it possible to co-ordinate your sales events? Sharing the cost of marketing will likely reduce your costs and entice new customers into your establishment. It will also get employees at both businesses referring to each other. Many large corporations have seen success in creating games to bring in customers. Try a store scavenger day, a scratch for discount weekend or pick a card for a free gift day. People love the fun of games, and it is easy to create excitement by promoting it in-store for a few weeks prior to the event. Try something silly like offering a discount for anyone in a Hallowe’en costume during that week leading up to October 31st and post photos on your business Facebook page. You can reap benefits by using a little creativity and energy to bring customers back into your business to make repeat purchases. And, it can even add a little fun to the day ! No one wants their business to fail and yet, many start a business without taking the time to give themselves the best chance for success. It takes passion. As an entrepreneur you have to be passionate about what you are going to do, otherwise you are simply giving yourself another job. A new business takes dedication and lots of time so if you don’t have a passion for it, things will quickly become tedious and your efforts may be less than what is necessary to build a successful business. Get things right the first time. Business registration, municipal business permits, HST, income taxes, payroll, WSIB, insurance, etc. Missing components or not understanding a regulation can mess things up and can actually take more time and cost you significant money down the road when you try to clean them up. Take the time to learn what your responsibilities are before you start the business, get everything set up properly before you begin and then operate accordingly. Planning. A Business Plan can be an owners best friend, and should be updated on a yearly basis. It is important to plan out your marketing, employee training, new product introduction, etc. Without a plan you can fall behind on tasks, or miss out on important government reports that can cost you a great deal of money and time. Don’t go it alone. 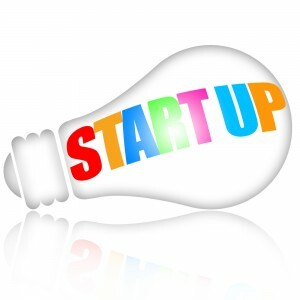 Every business owner needs a support system, and not only at start-up. Family and friends offer support in many ways, even just being able to bounce an idea off of someone you trust is valuable. There are also programs available to small business owners that can provide Mentors who will offer their experience. Take advantage of these programs. Look for customers before you begin the business. In the early stages it is often difficult to pay yourself as you are searching for customers. So try to attract them before you open. Get out and talk to people about your business, attend networking events, make contacts ! Do your research. You must know as much as possible about the industry you will be working in. 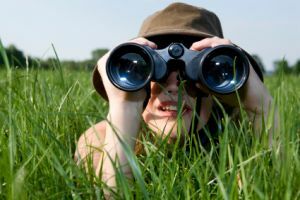 You must know about the products of course, but you must also know everything possible about regulations, your competitors and what your clients expect. Research will always be important as your business develops. Change is inevitable. Just look at how Social Media has impacted the world of advertising. If you are not staying abreast of change you will fall behind and your business will suffer. One person does not know everything. Surround yourself with professional people who will advise you or possibly take care of the things you don’t know. Many business owners have wasted valuable time performing tasks that they are not qualified to do, only to discover later that they could have hired someone to do it for them at less cost than what they could have earned during the same time, and with a great deal less stress. Take the time in the beginning to set up your business legally and make sure everything is organized. It will go a long way to help you build your business with less stress and more opportunity to be successful! 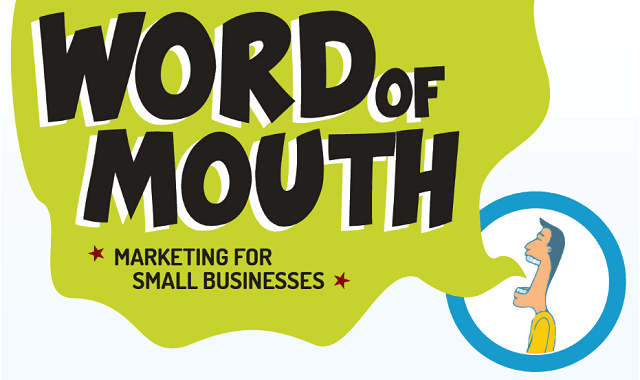 New business owners will often tell us that “word of mouth” is going to be a big part (sometimes the main focus) of their marketing . We all know how powerful a happy customer can be and the impact it can have on a business. But … the majority of people are not necessarily vocal about their satisfaction with a business or service until asked. 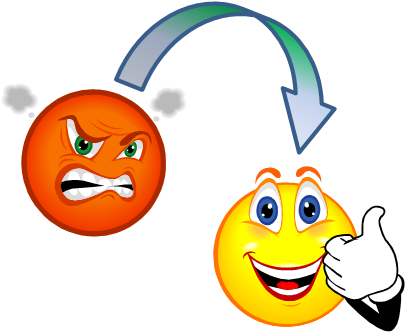 Conversely, we are more apt to be vocal when we are dissatisfied. So if you are sitting back and waiting for great word of mou th to happen, you might be disappointed. Any kind of marketing, including “word of mouth” takes effort. And yes, there are things you can do to help it happen! A very wise and savvy mentor that I know always tells her mentees to give customers 3 of their business cards and to tell them “one to keep and 2 to give away”. Make it easy for your customers and clients to make referrals to you. If they have a couple of business cards they will give them away to people and they will be happy to help out their friends and colleagues. Remember, a whole stack of business cards will do you no good sitting in your desk drawer, and they are very affordable. Do you have a client or customer who also owns a small business? Do you have other clients who could benefit from their product or service? Make that referral, promote their service. It will come back to you as they will refer people to your business. Mutual referrals will grow and benefit you both! Sometimes, all it takes is a request. Ask some of your clients and customers if they would consider providing you with a testimonial that you can use on your website or in-store. Choose wisely – ask individuals who are established in the community and are well-known so that it carries some weight. It takes an exceptionally happy customer to initiate positive word of mouth for your business. You have to consistently provide excellent customer service, get to know them and make them feel appreciated, ask for and accept their feedback on products, etc. and then do something with that feedback. When they feel special and appreciated they will talk about your business in a positive light. When you put some thought into it, most business owners are able to come up with ideas that will appeal to the emotions of their customers. Make them feel important, special, appreciated, safe, understood and provide them with positive experiences on a consistent basis. Being proactive will result in positive word of mouth – don’t sit back and wait for it, make it happen!